The idea of creating a business and becoming an entrepreneur at an advanced age is part of a national trend, driven partly by the massive financial crisis a decade ago. According to the NYT article, their numbers have grown even as the economy has rebounded. Good for these people! We must really applaud them. Rather than standing on the sidelines, they have become entrepreneurs. Yes, entrepreneurs, driven by need while perhaps not by desire. Whatever the reason, it takes an awful lot of courage to get off the ground, relying on yourself to create a new business. For people who have always had a steady paycheck, this uncertainty is daunting, even more so as they get older. With that said, I would like to spend a little time talking about people over 50 who wish to become entrepreneurs out of desire, not need. At Simon Associates Management Consultants, we just finished producing “An E-book Primer for Entrepreneurs.” In this e-book, we try to make the distinction between entrepreneurs and small business people. Entrepreneurs by desire, not necessity or need, are searching for big ideas that they can turn into innovative companies. They also realize that to succeed, their idea has to become scalable and they’ll need to find different resources to sustain their growth once they have gotten out of the starting gate. In contrast, small business owners see their roles with limited perspective. They run a business and it grows. Done! Entrepreneurs are also different from those who have to create a new business—building out of need. So now I’d like to focus on those who wish to build a business out of desire. Their ego is involved in creating something big, important, and perhaps that will meet some unmet need. Not surprisingly, these types of people tend to have a few things in common. 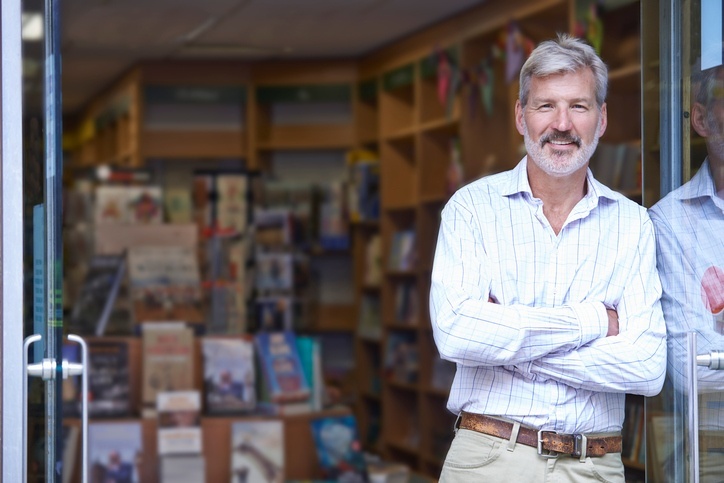 4 characteristics of entrepreneurs over 50 who want to build something they really desire. Is this you? An overwhelming desire to build something that is important. Whatever you envision, think about whether you are going to be competing with others just like you in a bloody Red Ocean, fighting over the same customers. Instead, go looking for a “Blue Ocean” where you can create a new untapped market, not compete in a crowded, already-established one. As Blue Ocean Strategy experts, we help our clients find their own Blue Oceans to build something that is different, meeting unmet needs and finding and converting non-users. High energy. A critical driver for entrepreneurial success is having a lot of energy. The ability to outwork and outthink others often is a separator between success and failure. High energy is critical since, for most entrepreneurs, working 9 to 5 won’t cut it. How would you rate your energy level? Remember, you are the one who is going to be leading the charge. You can’t be a follower. And everyone is looking for high energy leadership! Commitment to lifelong learning. Tom Friedman, in his book, “Thank You for Being Late: An Optimist's Guide to Thriving in the Age of Accelerations,” identifies the rate of change that is occurring across the world. This means that today, you must row harder just to keep up. Part of keeping up is lifelong learning. This can be formal or informal. But, if you think you are going to succeed by using yesterday’s skills, you are sorely mistaken. Yes, you might have 30+ years of work experience. Sorry to disappoint you, but a lot of those skills have very little value today, and probably even less in the near future. How good are you at relationships? And I don’t mean social relationships. I mean relationships that turn you into a leader. You will need your best relationship and leadership skills to be able to communicate, collaborate and coordinate. Coupled with this set of skills will be the necessary acknowledgement that you will be dealing with a very different workforce. Your employees are now Millennials, followed by Generation Zs—folks who weren’t around when you got started (born after 1995). These groups are very different from Boomers, and managing them is going to be a difficult and complicated task, especially if you’re over 50. Learning how to build great multi-generational relationships not only will be important to your business, it may very well be the key factor determining whether your business succeeds or fails. And, equally important is watching your customers change, in terms of how they buy and use your products or services. So there we are. And you probably noticed that I never even talked about what I consider to be the technical skills required in the marketplace. That’s because technical skills are great but if you don’t have what I call the mindset to become an entrepreneur by desire, I believe you might be in trouble. Don’t see yourself as retired? Do you have the skills and stomach to take a big leap and join the field of entrepreneurs? You have a lot to think about. Good luck! At Simon Associates Management Consultants, we specialize in new business development, especially early-stage companies and turn-around situations. Our 6-Step Process is designed for entrepreneurs (of any age) who need smart, innovative business strategies so they can adapt to changing times and capitalize on new technologies. Please contact us to discuss how our process works and also how we might help you find startup capital, launch your business, capture customers and grow market share. We look forward to hearing from you.